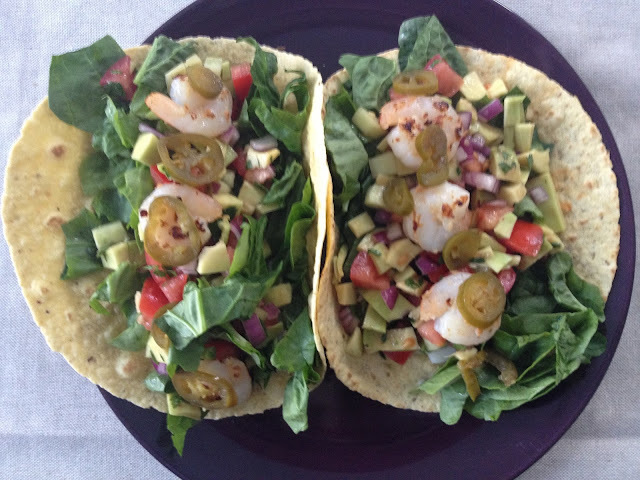 In this food diary I want to show you what I ate for approximately two weeks, while following a pescetarian diet. I didn't photograph everything, but 80%. 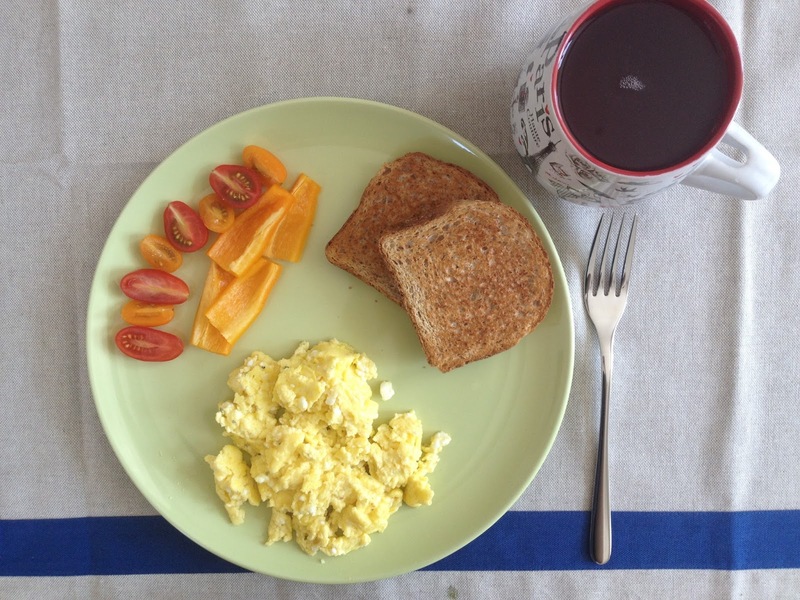 I always had green tee at breakfast and my snacks were pistachios and almonds. It would have been a really healthy diet, if I wouldn't have eaten Nutella and ice cream, but a girl's gotta do what a girl's gotta do. 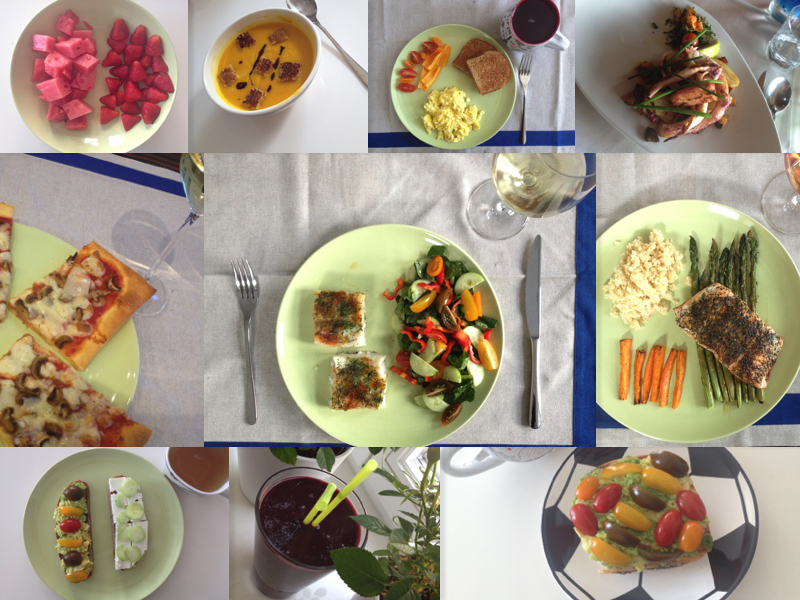 In the first week I had smoothie every day and in the second just fruits. 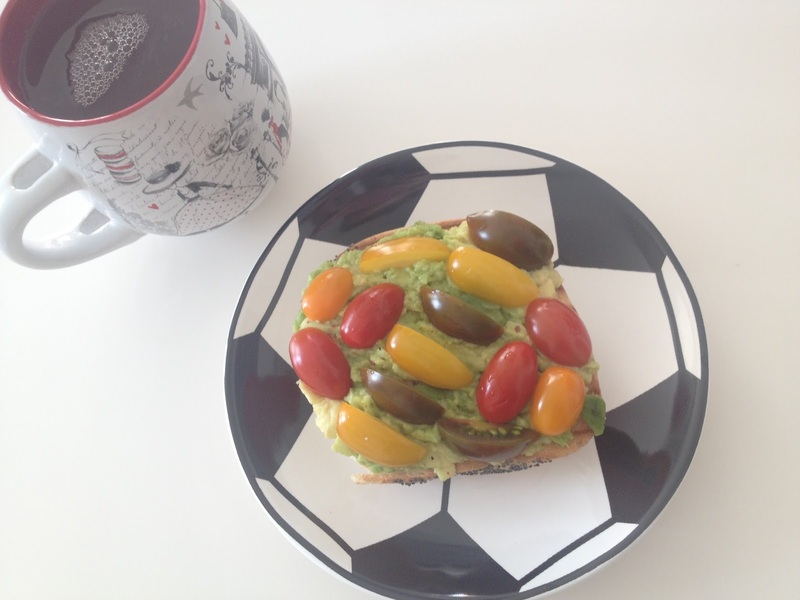 My breakfast includes smoothie/fruits and then sandwich or omelette. 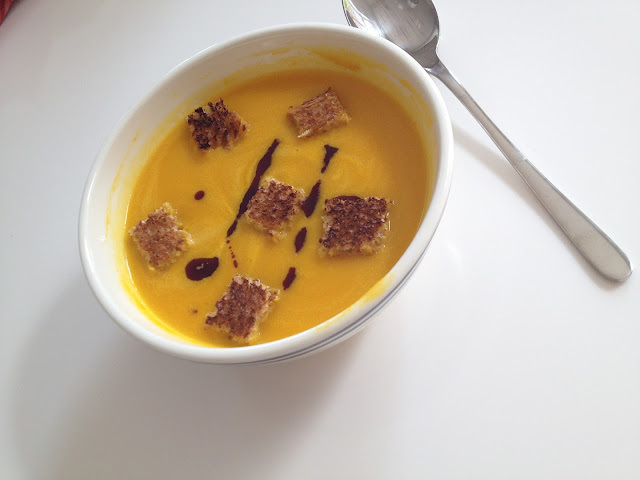 For lunch I made different soups and dinner one of the variations from below. Hope you like this really extended food diary. I wanted to try something new. 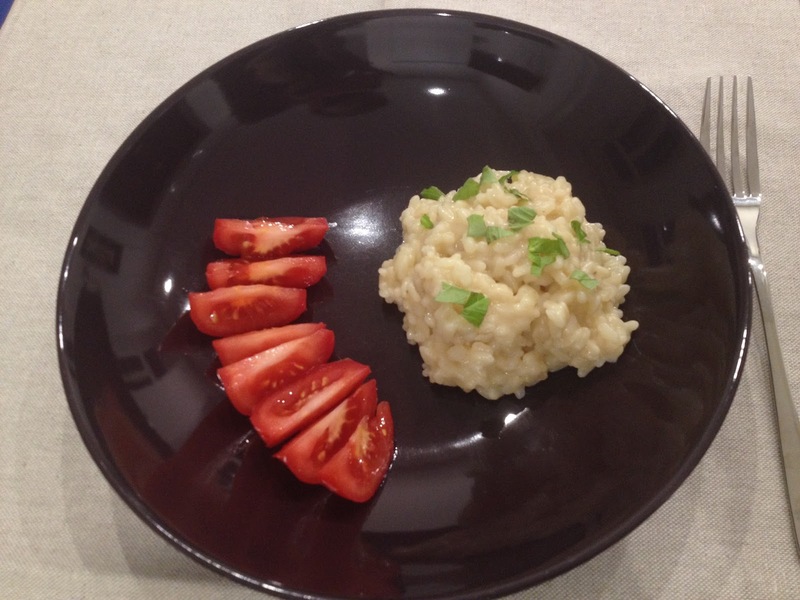 Risotto with a side of Tomatoes and Basil to garnish. 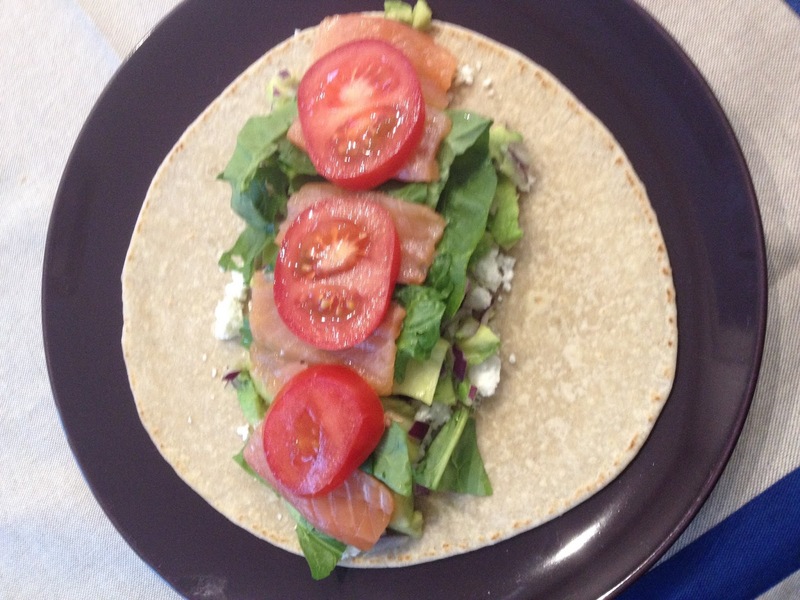 Piadina with crumbled feta, spinach, avocado, salmon, red onion, tomatoes, cucumber. 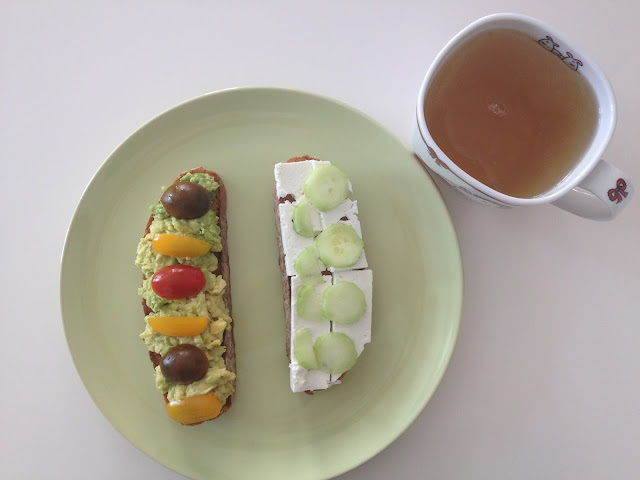 Whole wheat whole grain open sandwich with feta, tomatoes and basil; with smoked salmon and cucumbers. Paprika filled with quinoa, carrots, zucchini and topped with feta cheese. 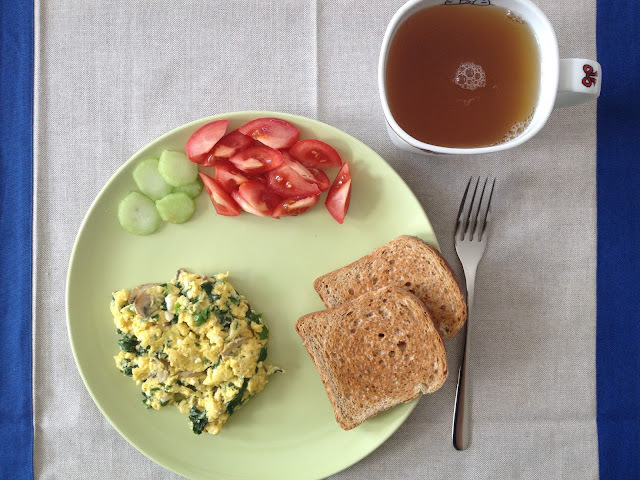 Omelette with spinach and mushrooms, with a side of tomatoes and cucumber. Smoothie with acai, hemp seed powder, blueberries, spinach, ginger, apple, kiwi. 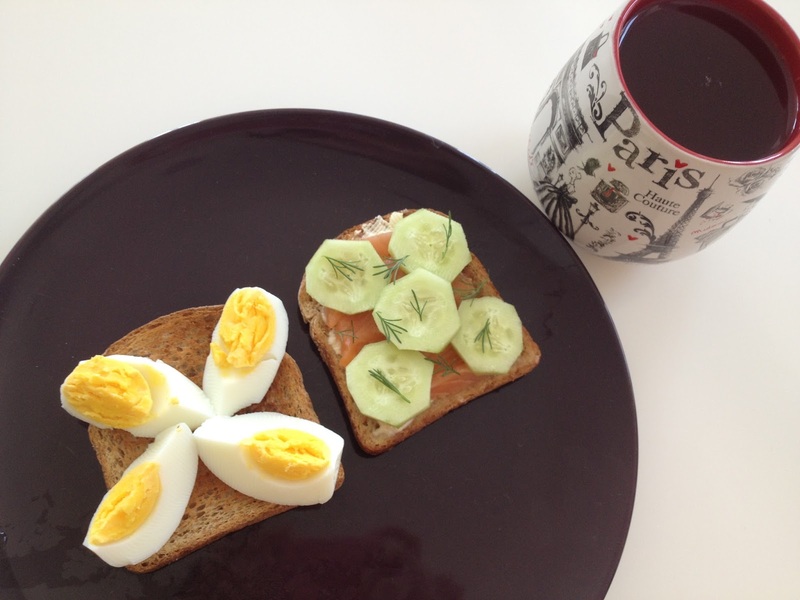 Whole wheat whole grain sandwich with egg and smoked salmon with cucumber and dill. 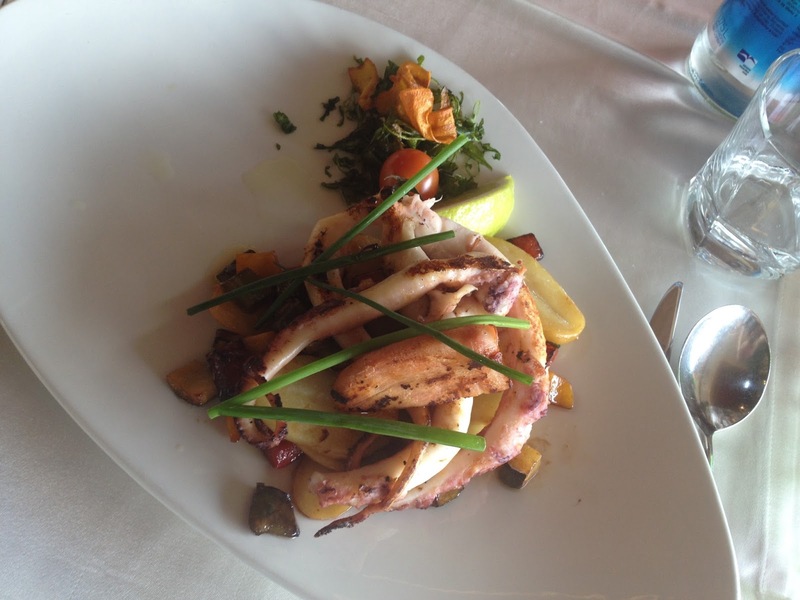 Roasted octopus on a bed of vegetables. Bruschetta with tomatoes and mozzarella; with tomatoes, parsley and garlic. 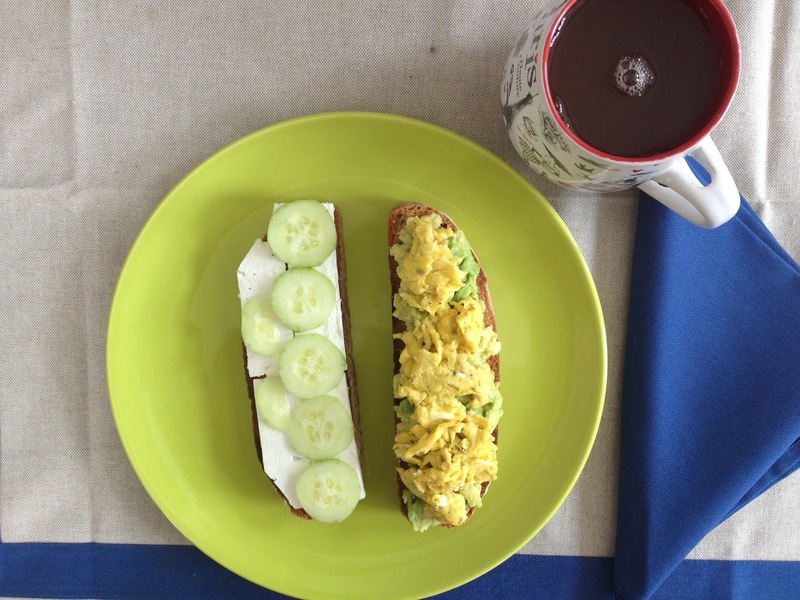 Whole wheat sandwich with goat cheese and cucumber; with avocado and eggs. 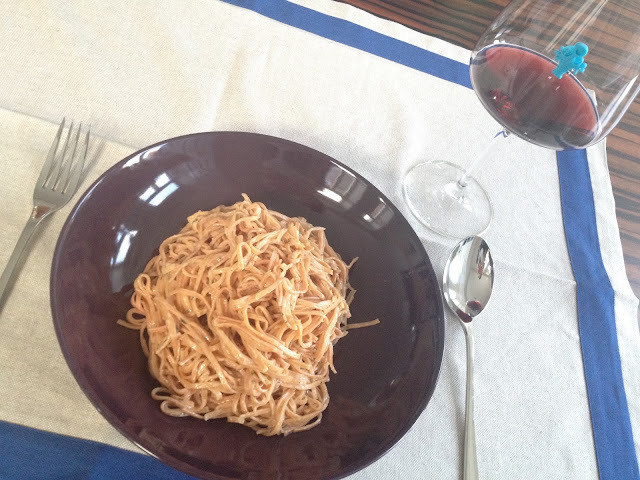 Rice with zucchini and red onion. Whole wheat sandwich with avocado and tomatoes; with goat cheese and cucumber. Omelette with a side of tomatoes and paprika. 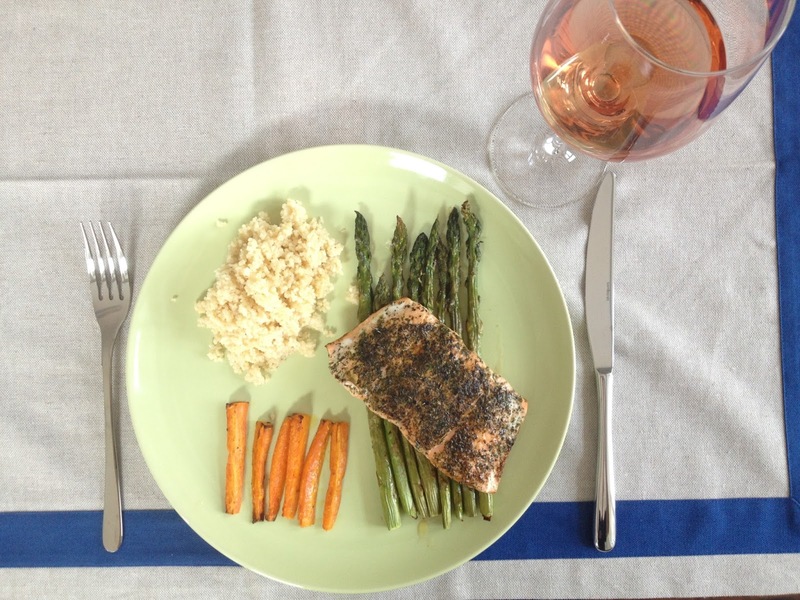 Salmon on a bead of baked asparagus with baked carrots and couscous.